Greetings all, sorry for my relatively sparse postings these last few weeks. My mind has been contemplating many more topics besides what is brewing in the kitchen, but a girl has to eat and I have made some real winners these last few days. 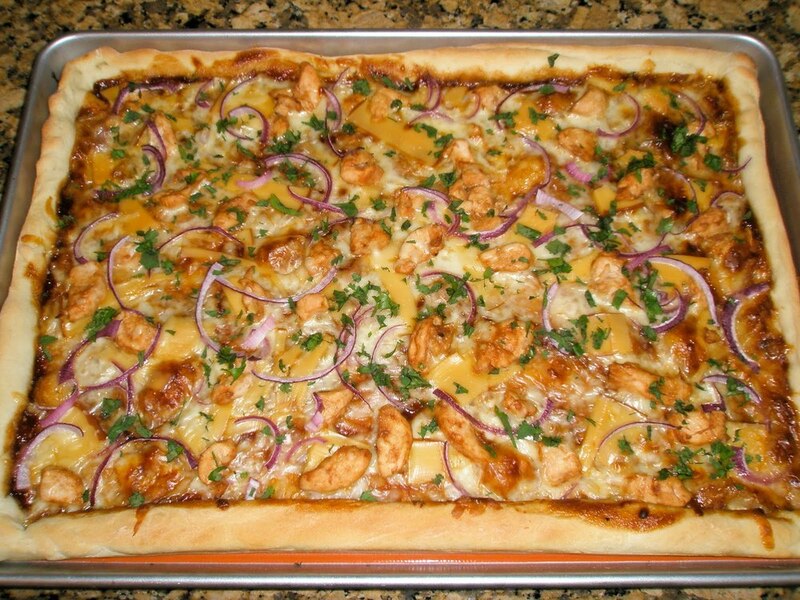 Todays recipe for Barbecue Chicken Pizza is one of that I have cooked at least half a dozen times. Since I’m constantly looking to try new dishes I rarely make anything more than once and only have a handful of recipes I’ve made twice, but I can’t seem to shake this recipe. The combination of savory barbecue sauce, succulent poultry, and creamy gouda cheese brings joy to my taste buds every time and even a quarter life crisis can be put on hold for such tasty fare. So with out further ado here is the pizza recipe to end all others, enjoy! Toss cold cooked chicken with barbecue sauce and return to refrigerator. Heat oven to 450 degrees. Roll out pizza dough to 1/4 inch thickness and place on top of greased pan or pizza stone. Spread desired amount of barbecue sauce to within 1/4 inch of crust. Top with cheese, chicken, and onion. Cook for 11-13 min. until cheese is melted and crust is golden brown. Immediately sprinkle with cilantro and serve.